When I was about eleven my father took me to buy a fire newt. Apparently he had several when he was a kid, so he felt like it would be a good pet for me. This was not my first pet as we already had fish and cats. (However, it would make an alright first pet.) 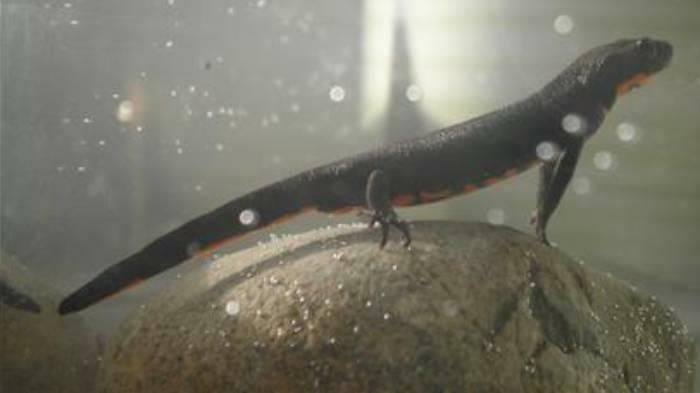 The biggest downside was the maintenance of cleaning its habitat, but this is because the fire newt had to be put into another container of water for a short time, the container cleaned out and put back together, and then the newt placed back inside. Mind you this is also the reason I never want to have fish again, because I personally hate cleaning out glass habitats that contain water. Shelby was a very friendly fire newt who allowed me to pick it up all the time, and would even stay on toys that I played with. For example I was really into Barbies and Polly Pockets as a kid, and Shelby would stay inside their vehicles. Now anyone who has a fire newt knows that they can only stay out of the water for so long before they dry up, so as a kid I always had water with me that I would place it back inside of and just take it out in small increments. As I was already eleven I was fairly responsible and did not want my fire newt to dry out. Coming back to how I hated to clean out the habitat, well the water dried up at some point without me noticing. This was the first time that I ever cried over losing any type of animal that did not have fur. I never even cried over losing gold fish, but I was so concerned that I had caused it some huge amount of pain because it dried up and died within its habitat. Truth be told I believe that this is how a lot of them die, especially if their owners are smaller children because it is really easy for them to dry out. For anyone thinking about getting a fire newt as a pet, I say go for it! I absolutely loved mine, I still miss it, and it was fantastic as kid. Someday I still plan to get another one because they are definitely worth cleaning habitats for.